Grab the kids and go on a Halloween Scavenger Hunt. 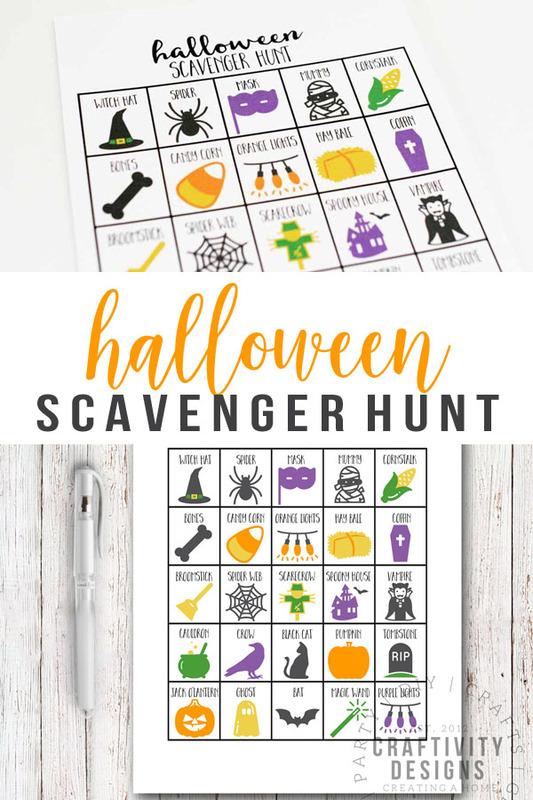 Use this printable scavenger hunt in the car (searching for Halloween Decorations), as a Halloween Party game, or as a fun activity for teens and adults during Trick or Treating. What’s the best thing about September? That October is less than 30 days away! **wink** No disrespect to September, but October is one of the most pleasant months of the year. In Kentucky, it actually starts to feel like fall during October (whereas, September is still a bit toasty) and, of course, there is Halloween! 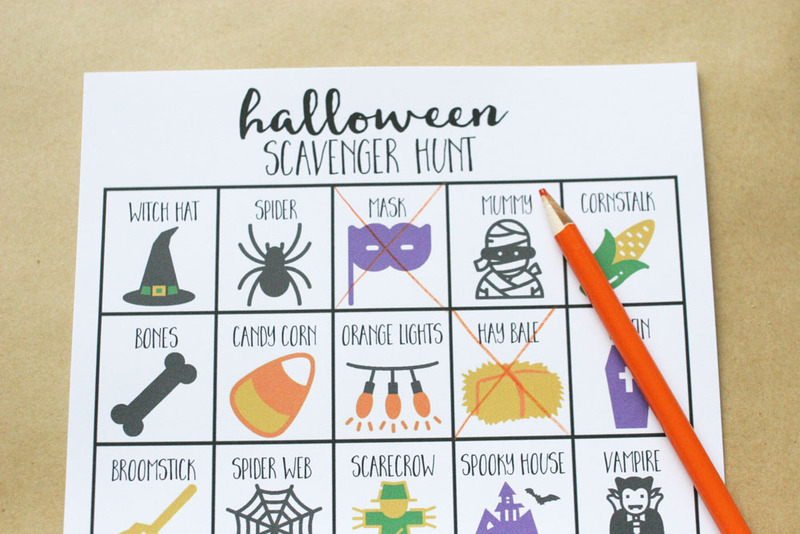 The spooky holiday is a favorite in our house and we can’t wait to give the new Halloween Scavenger Hunt a try. Car Ride Halloween Scavenger Hunt – Load up in a car and drive around town to look at Halloween decorations. Work together, or compete, to see who can mark off the most Halloween items from the board. 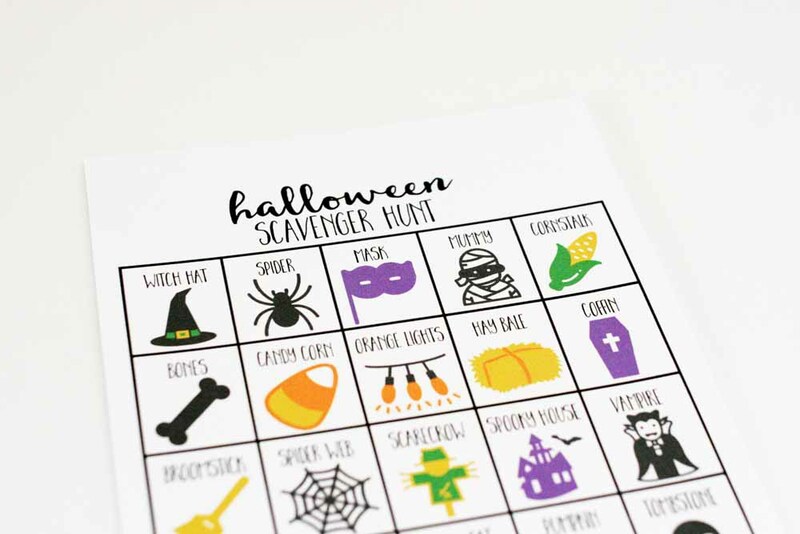 Halloween Scavenger Hunt Party Game – At a festively decorated Halloween Party, challenge guests to search the house in order to find as many Halloween items as they can (great for school Halloween parties, too!). 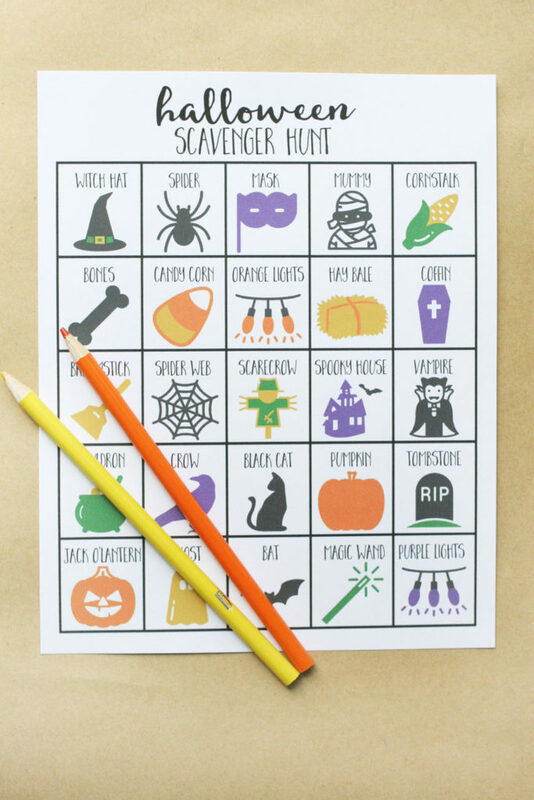 Trick or Treat Scavenger Hunt – Add a little more fun to taking the kids Trick or Treating. The adults (and teens!) can compete in a friendly competition along the Trick or Treat route, while the kids are collecting candy. Halloween Photo Scavenger Hunt – Great for adults, send them around town to capture photos of the Halloween decor with their smartphones. Allot extra points when a person is in the photo, too, or require entire groups be in the photo with each item listed on the Halloween Scavenger Hunt. Did you know? All of our Scavenger Hunt Games include the picture and the word so that any kid can play, even if they haven’t learned to read. From ghosts to pumpkins, your family will have a blast working to complete this colorful scavenger hunt. Will you be able to find them all? Though the Halloween items are a mix of scary (vampires, mummies, and witches, oh my!) and fun, the brightly colored graphics are kid-friendly… and sure to make you smile. For a bit of extra color, grab a set of colored pencils to complete the scavenger hunt. A happy combo of colorful prints and pencils is perfect for a party, too! 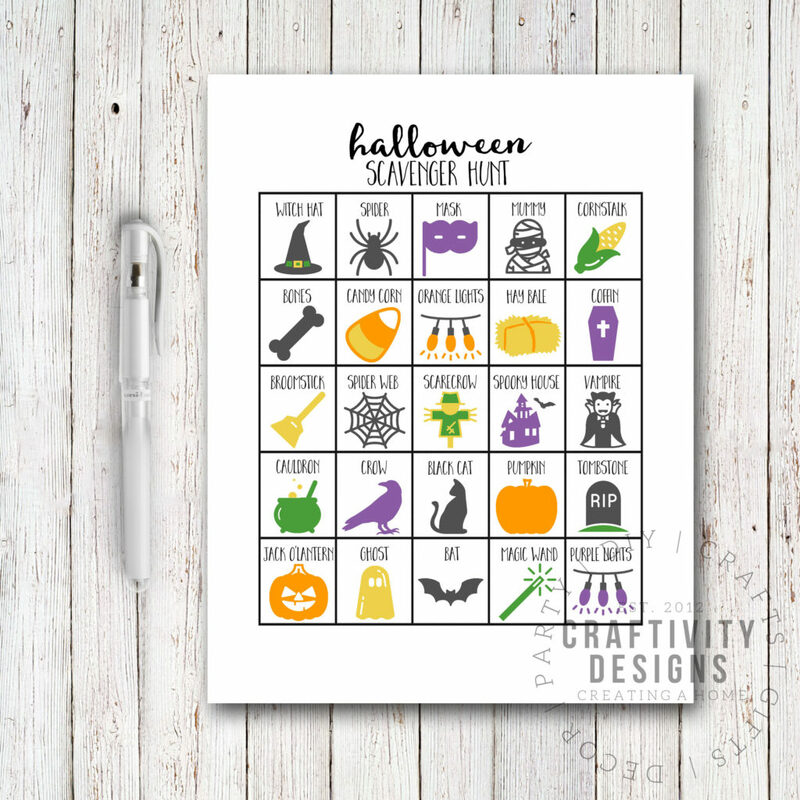 Grab a printable copy of the Halloween Scavenger Hunt >here< and print as many copies as you’d like! 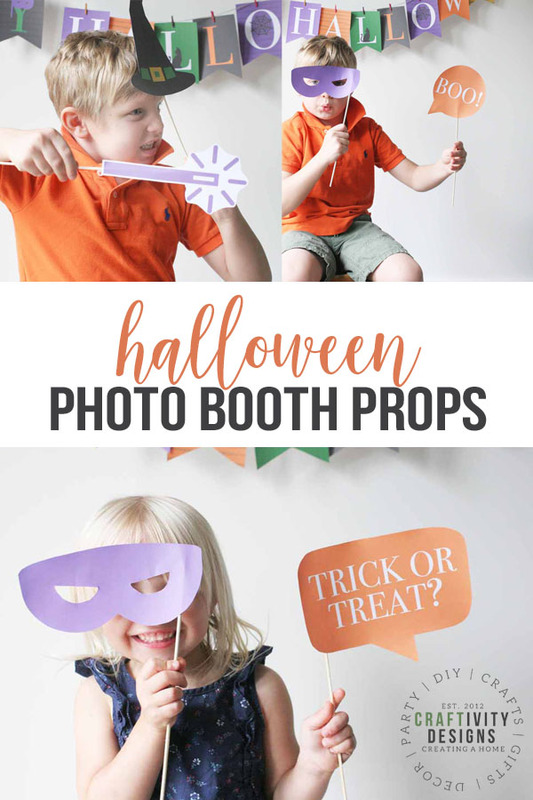 Plus, if you’re throwing a party, grab a set of free Halloween Photo Booth Props in this post. 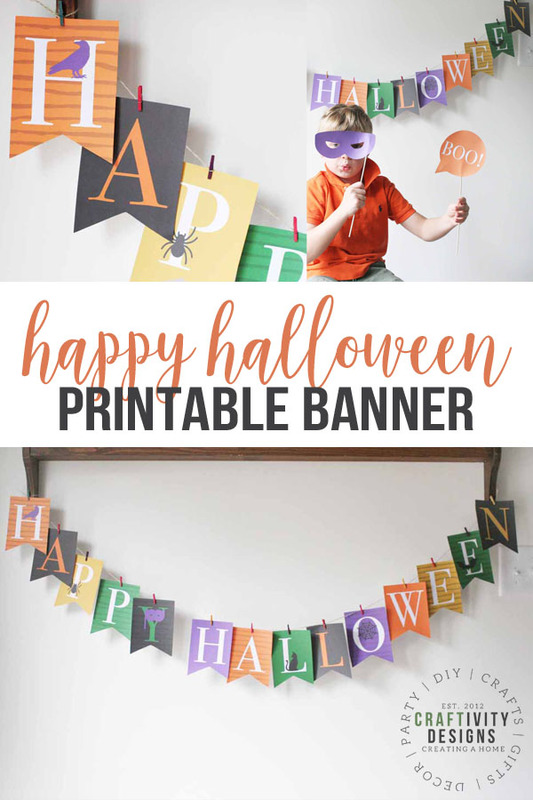 Designed to coordinate with the scavenger hunt game, the props and backdrop are a fun addition to any not-so-scary Halloween party.